Coyle, 25, and the 10-year-old Dutch Warmblood gelding had the disadvantageous position of having to jump first over Anderson Lima (BRA)’s shortened track at the Leon Equestrian Club. 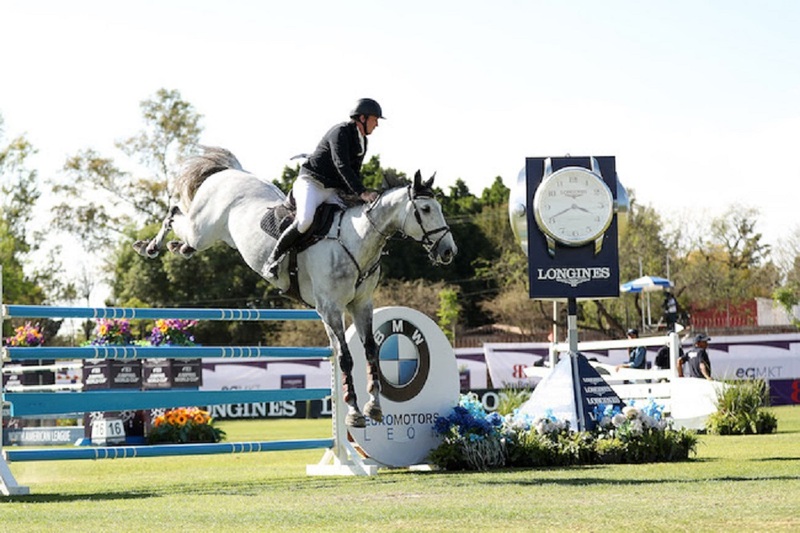 However, after crossing the timers in 40.37 seconds, they put the pressure on Salvador Onate (MEX) and Big Red, who were fresh off a win in the Longines FEI Jumping World Cup™ Guadalajara just two weeks prior. That pair settled for second with their 41.96-second clear round. Federico Fernandez (MEX) and Davidoff finished third, having recorded just a single time fault in the first round. Jordan Coyle (IRL): "On a day like this, I don't think there are many horses in the world that are as good as him. This is without a doubt my biggest win so far."